As the Guantanamo hunger strike enters its 120th day, the US House of Representatives has voted to keep the notorious detention center open in Cuba, blocking the use of taxpayer money to house any detainees transferred out of the prison. Although President Barack Obama said last month that he was determined to close the facility, where over 100 inmates have been on hunger strike since early February, the recent vote upheld a law blocking the use of taxpayer funds to build or renovate facilities in the US to house suspected terrorists and other prisoners from Guantanamo Bay. 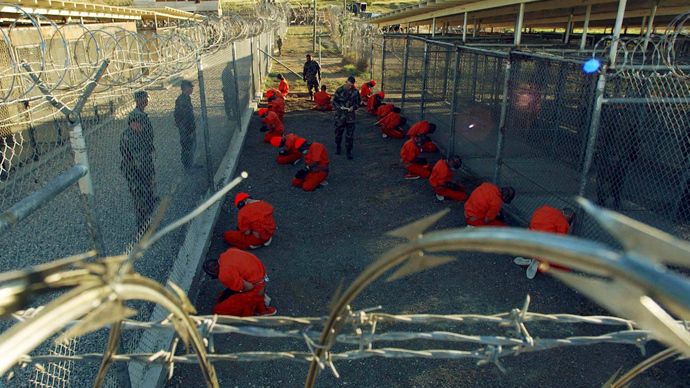 Obama first promised to shut down Guantanamo in 2008. Since then, relatives of detainees have held out hope they would be reunited with their husbands, brothers and sons. One family of a Yemeni inmate told RT's sister channel Russia Al Youm it is unlikely they would ever see their loved ones ever again. Obama’s recent promise to lift restrictions on Yemeni Gitmo detainees was greeted with sneers in the country. “America’s support for human rights is merely a show! It only cares about its own people, while it destroys the rights of all others. 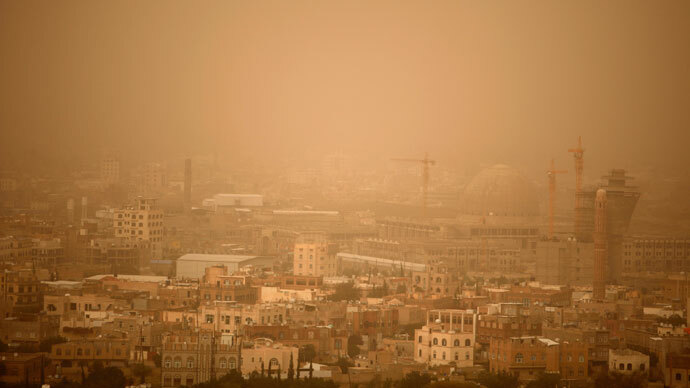 We’ve been suffering for 13 years now,” the mother of Abdurrakhman ash-Shbaty, a Yemeni terror suspect kept at the controversial detention center since 2002, told Abdelaziz Al Khayajim. And after ash-Shbaty was arrested, his entire family was accused of terror links. “We’re tired of these nonstop lies. Obama remembers about Guantanamo only during election campaigns and on holidays. He promised to shut it down several times and to forward their cases to their home countries. These are all lies,” ash-Shbaty’s brother said. In May, President Obama announced he was lifting his self-imposed ban on transferring Guantanamo detainees to Yemen, despite reports that detainees returned to Yemen have joined terrorist fighters in the Arab nation. These security concerns prompted Obama to suspend transfers to Yemen in 2010 after a Nigerian man attempted to blow up a US-bound flight on Christmas Day 2009 with explosives hidden in his underwear on instructions from Al-Qaeda operatives in Yemen. According to Yemen experts in the US, security in the country has improved since last year’s ouster of authoritarian leader Ali Abdullah Saleh. In an effort to combat terror, his successor Abed Rabbo Mansour Hadi has restored cooperation with the US. Yemen is also demanding $20 million from Washington to build a rehab center for former Guantanamo detainees extradited to the country. The facility’s program would ostensibly discourage them from returning to militant activities. Last month, Amnesty International listed the indefinite detention of 166 prisoners at Guantanamo as America’s primary human rights concern in the US chapter of its annual report for 2012. 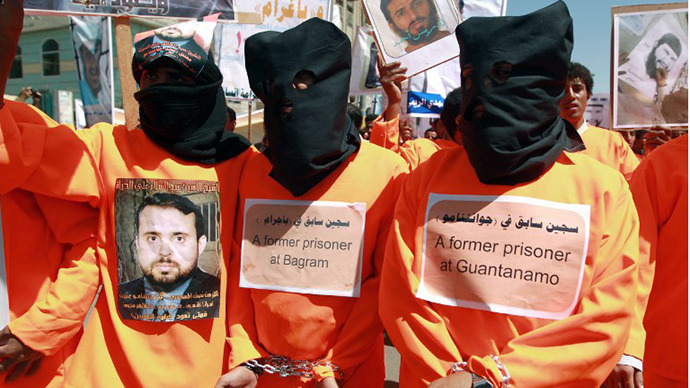 The human rights group has also kept count of the death toll at Guantanamo: “Adnan Farhan Abdul Latif, a Yemeni national who repeatedly expressed distress at his indefinite detention without charge or trial, died during the year, bringing to nine the number of detainees known to have died at Guantanamo since January 2002,” the report said. Latif, one of the first Gitmo prisoners, was taken into US custody in 2001. His release was ordered by the US District Court in Washington in July 2010, but the decision was overruled a year later on the grounds that Latif was an Al-Qaeda combatant. Less than a week ago, the protesting Guantanamo detainees issued a plea urging the US Military to appoint a new team of physicians to oversee their care during the hunger strike, which currently involves 8 of every 10 prisoners. A letter dated May 30 and signed by nine Gitmo detainees and the attorneys for several others was “respectfully requesting that independent medical professionals be allowed into Guantanamo” to treat the detainees, and that they be given full access to their medical records in order to determine the best treatment. Nearly 40 of the hunger strikers are reportedly being force-fed, which they claim is a form of torture. “They are close enough to death that the military sees the need to force-feed them, but none of them enjoy being force-fed, I can tell you that. And they’ve described being force-fed as having a knife run down their throat,” human rights lawyer David Remes said. “We have a detainee population of 166, and we currently have 103 detainees tracked as hunger strikers, with 37 receiving enteral feeds. 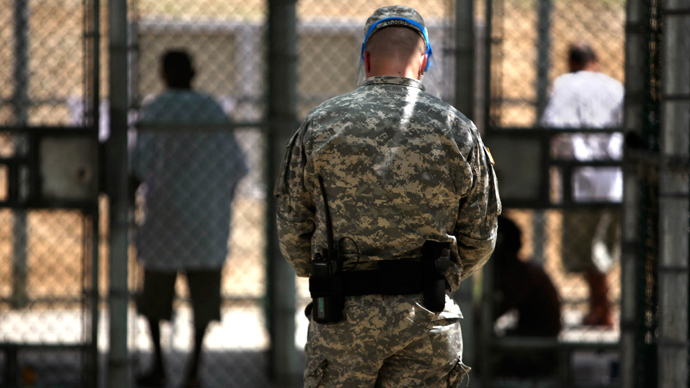 Two detainees receiving enteral feeds are being observed in the detainee hospital,” according to the latest report from Guantanamo Bay officials.